The last few months have not been the best of times for Congressman Dr. Ami Bera (D - Elk Grove). For Bera, representing California's Seventh District for two terms has been nothing if not challenging. Not only has Bera had to endure razor-thin victories in 2012 and 2014, but he has also been embroiled in some of the most expensive Congressional races in both cycles. In 2016, Bera started the year not only with the knowledge that he will face another strong Republican challenge from Sacramento County Sheriff Scott Jones, but he was also besieged by conflicts among factions from local Democratic party members. With much of that controversy behind him, this week Bera announced that he has successfully lobbied House Speaker Paul Ryan to have Indian Prime Minister Narendra Modi address a joint session of Congress during an upcoming state visit to Washington D.C.
Modi, who has been Prime Minister of India for almost two years, has been something of a spark plug of international controversy. Described by some as a Hindu Nationalist, Modi has been criticized for alleged complicity in the 2002 Gujarat Riots targeting Muslims that left anywhere from 900 to 2,000 dead and thousands more injured. As a result of this, Modi was banned from entering the United States and the United Kingdom. As Modi's prominence grew leading to the 2014 election, the ban was lifted and made his first state visit to the U.S. almost two years ago where he was formally greeted by Bera. Bera's invitation has not escaped the attention of Democratic delegate and former Bera supporter, Amar Shergill. A vocal opponent of Bera who earlier this year was one of party activist who sought to withhold the Sacramento Democratic Party's endorsement, Shergill questioned Bera's motives. Shergill is also a board member of the American Sikh Political Action Committee, which has increasingly flexed its political influence. In 2014, the PAC criticized Bera for his refusal to condemn the 1984 Sikh genocide that killed about 8,000 followers in a series of riots. 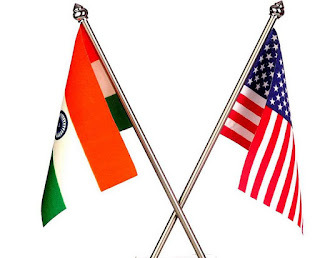 “Despite concerns with Prime Minister Modi’s tortured history with fundamental issues of human rights, we understand that India is a strong ally of the United States and it is important to continue to build upon this relationship," Shergill added. Modi is scheduled to address the Joint Session of Congress during his June visit.